Hey guys! 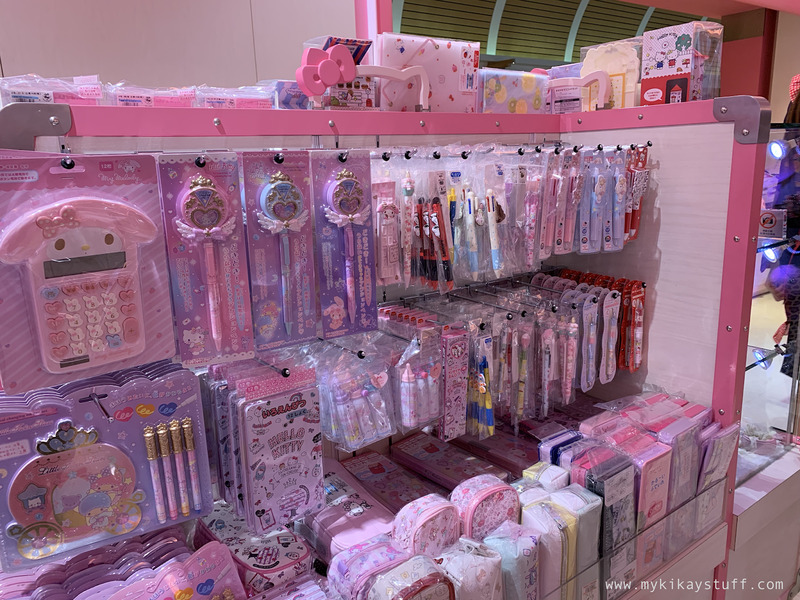 I'm not sure if I've expressed my undying love for Hello Kitty as much as I do on this blog. 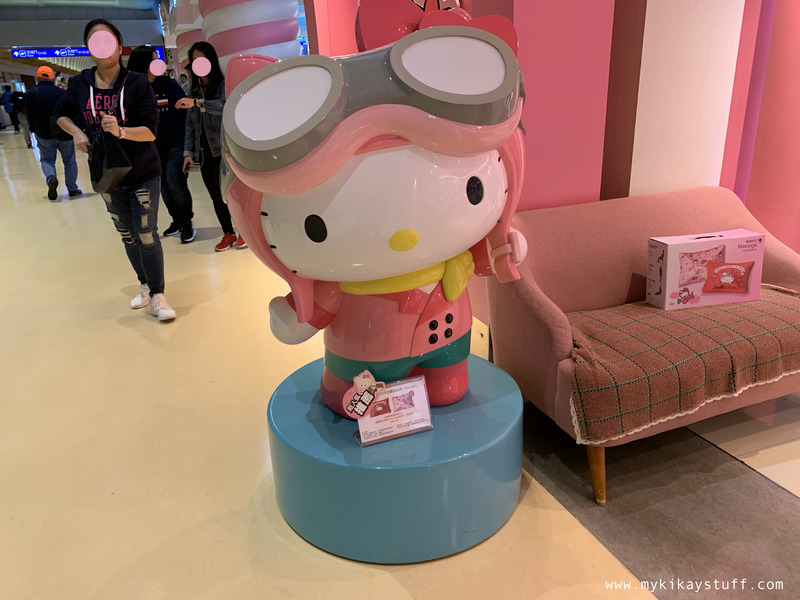 Like most girls my age not too long ago, I've been a fan of this popular Sanrio character since Gift Gate was in town. 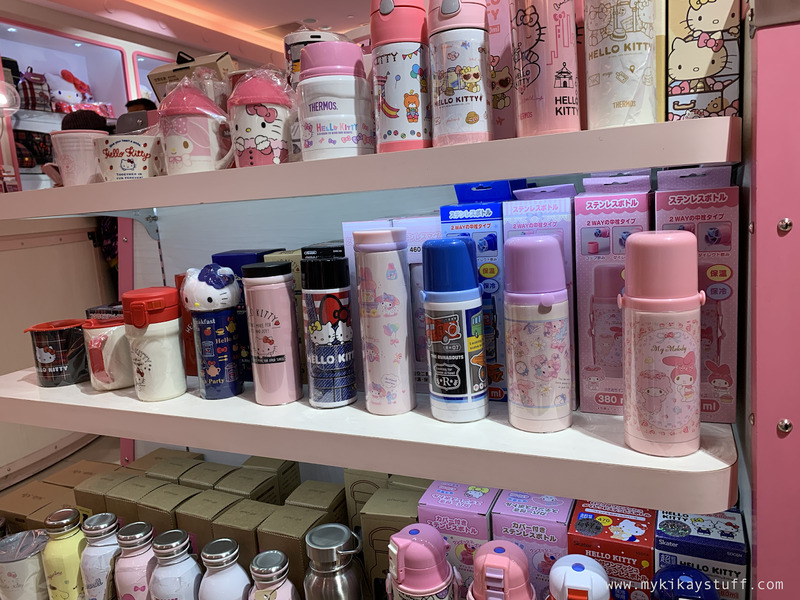 Through the years, Hello Kitty has evolved from being a kid's choice to a well renowned icon adored by people all over the world, across all ages. 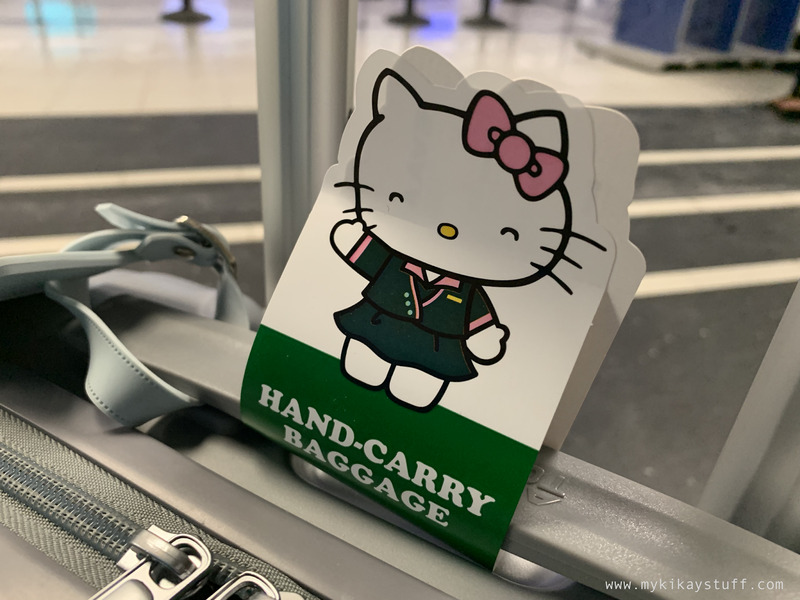 Moving on to the real subject of this post, I recently boarded EVA Air's Hello Kitty Flight from Chicago to Taiwan and I'm excited to share with you how it went. You may watch the short clip I made or continue reading below. 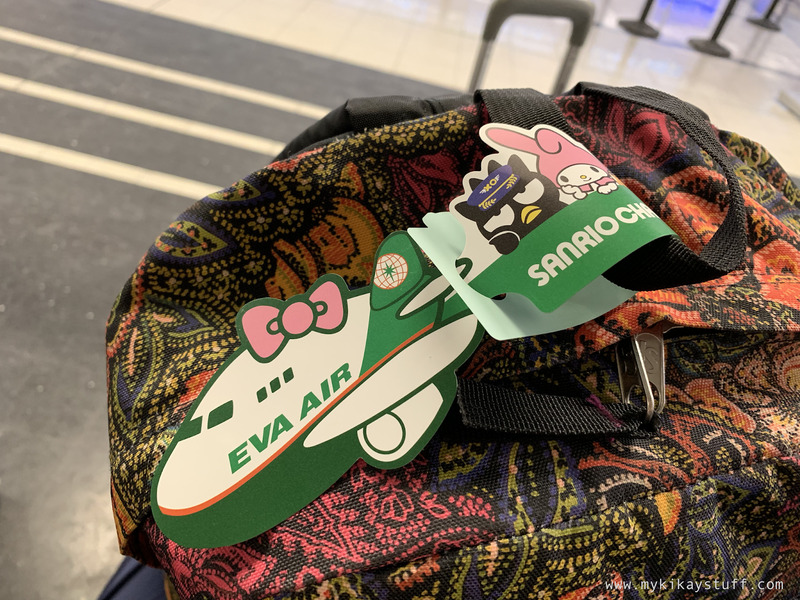 First of all, they gave me the cutest Sanrio tickets and bag tags I've ever seen! First thing I noticed about the plane were the spacious seats! 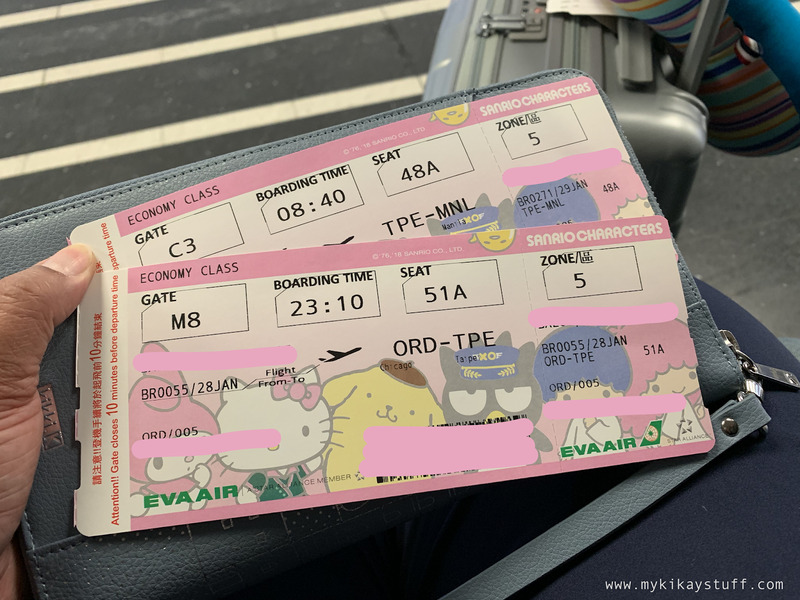 I’m plus size and having enough arm space has always been my issue when traveling but EVA Air’s seats are by far the most comfortable. 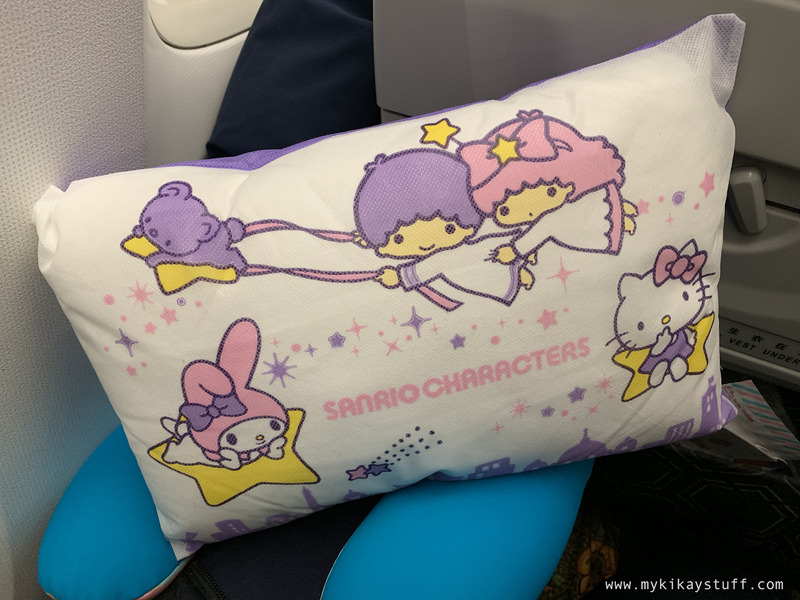 The Sanrio themed pillows are so adorable and are thankfully of decent size. The personal TV features a great selection of new movies and series. 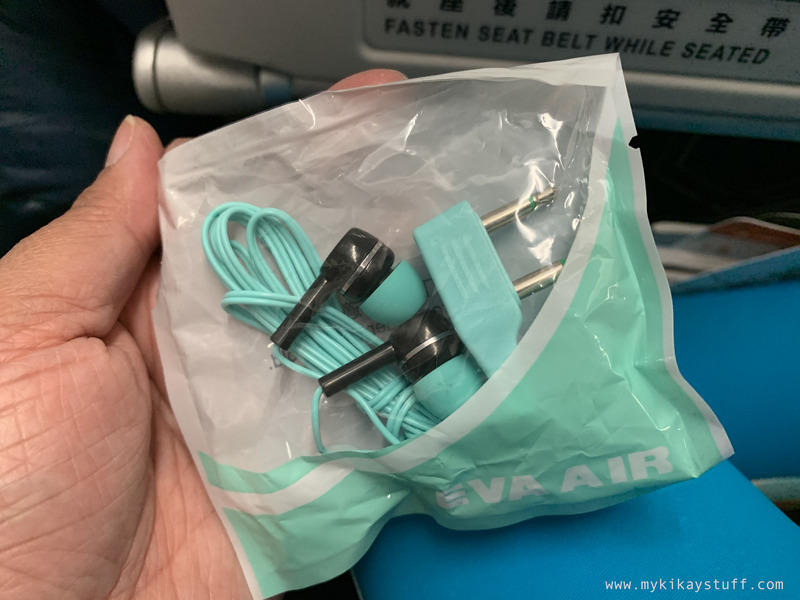 The ear phones are also fairly good although the double plugs limit their use. 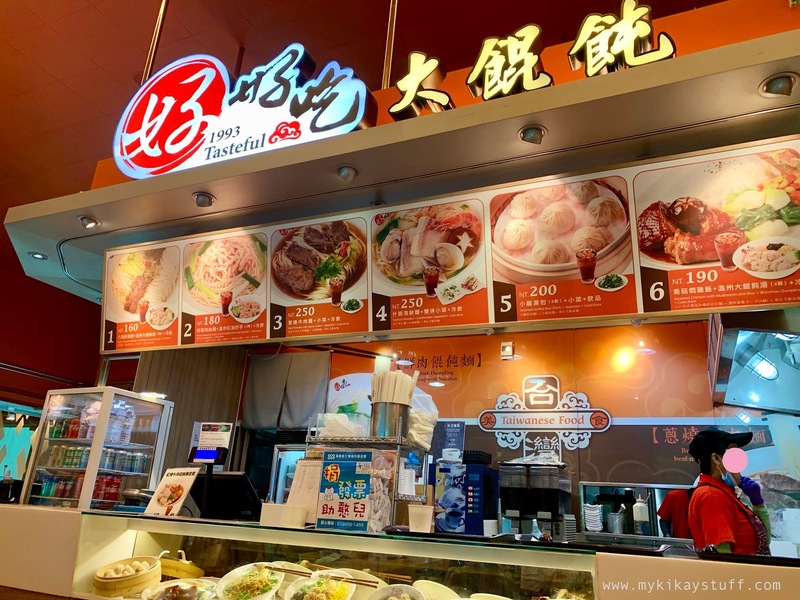 I love that they provide a menu including those in the economy section so everyone gets to choose a meal. 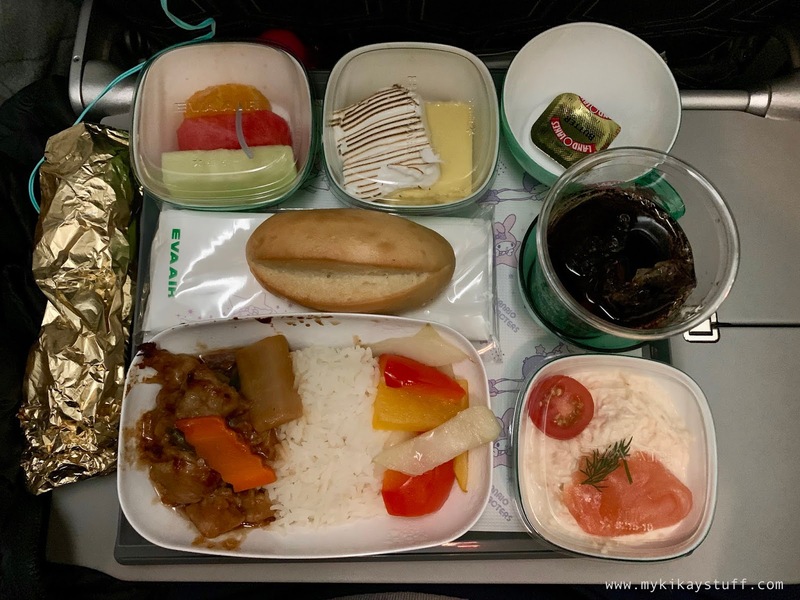 I've always regarded Airplane food as hit or miss but EVA Air is definitely a big hit for me. 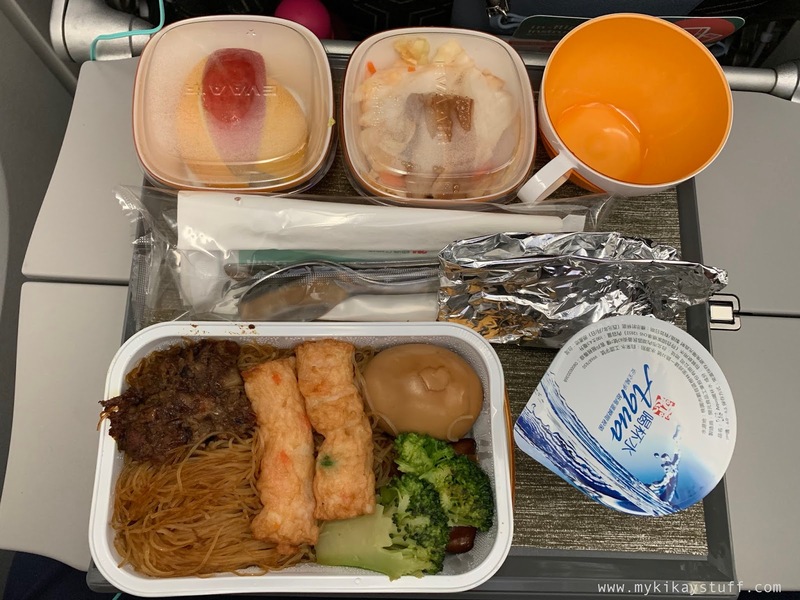 My 16-hour flight included 3 hefty meals and if you ever get to board the same flight, I highly recommend the asian noodles with boiled egg as a must-try. 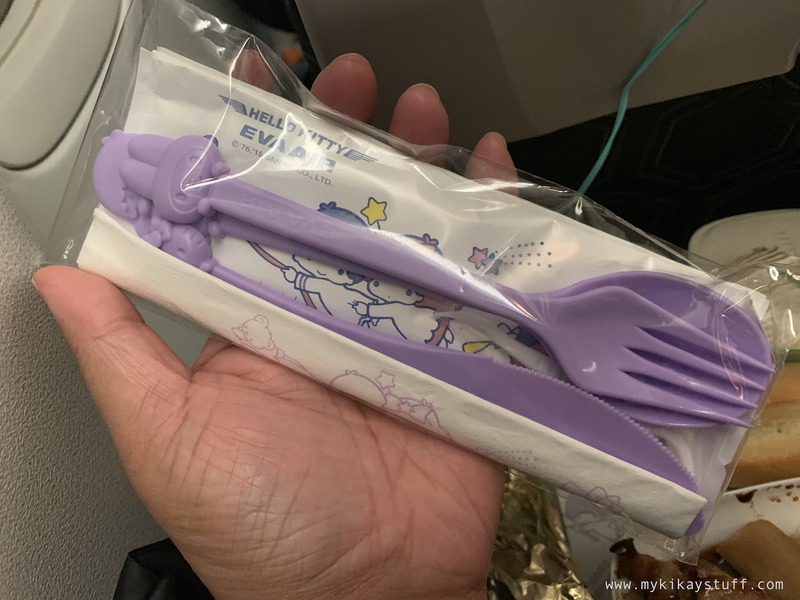 How cute are the Sanrio utensils they gave out?! I would’ve bought them if they were for sale, they're free with every meal and YES I did take them home with me. 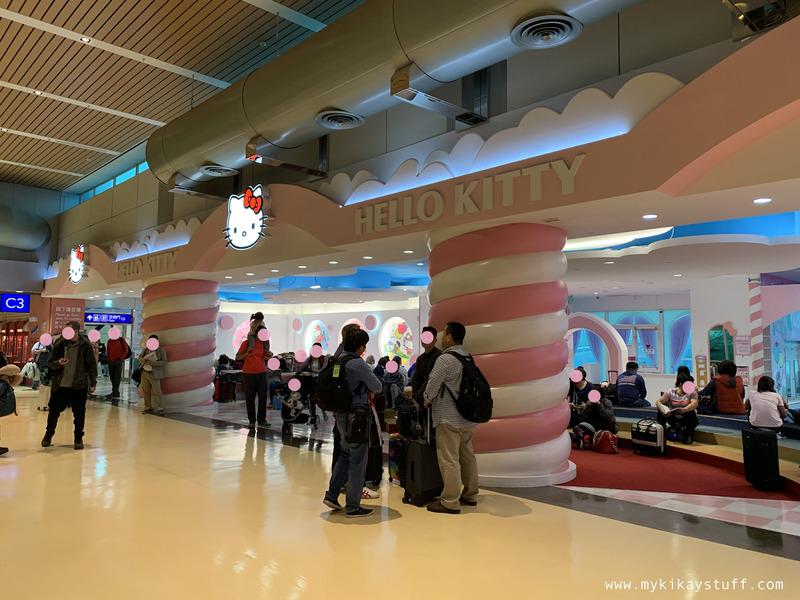 We got to Taiwan safely and our gate is likewise Hello Kitty themed. 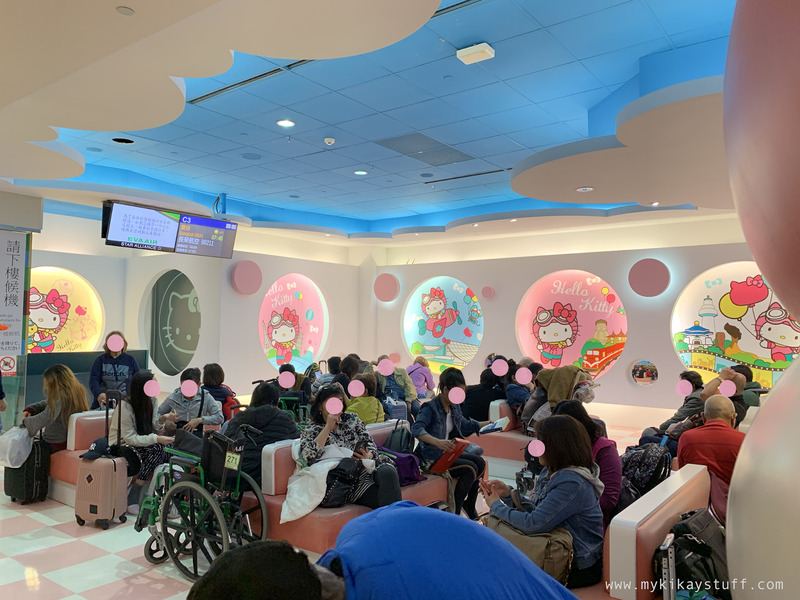 The lounge is located at Terminal 2 of Taoyuan Airport featuring a play area and Sanrio gift shop which reminds me so much of Gift Gate back in the day. 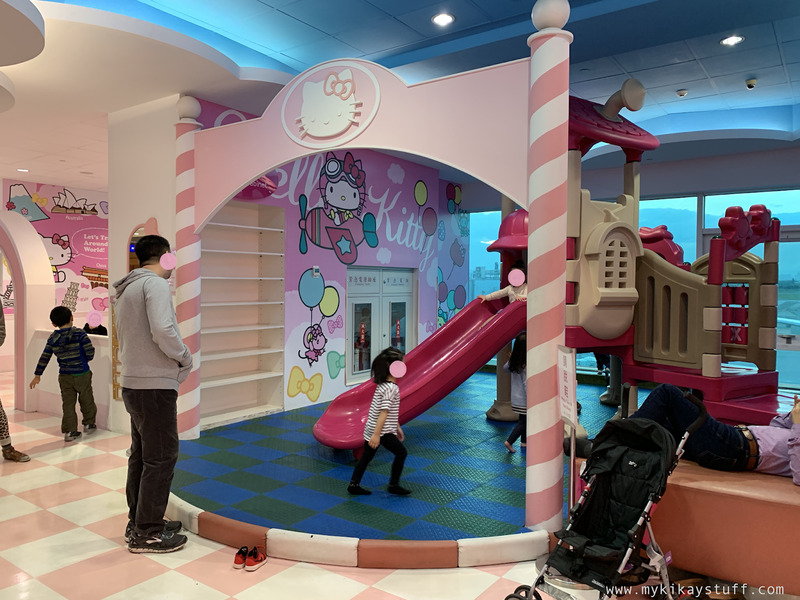 The gift shop is rightfully guarded by Hello Kitty herself in a classic pilot outfit. 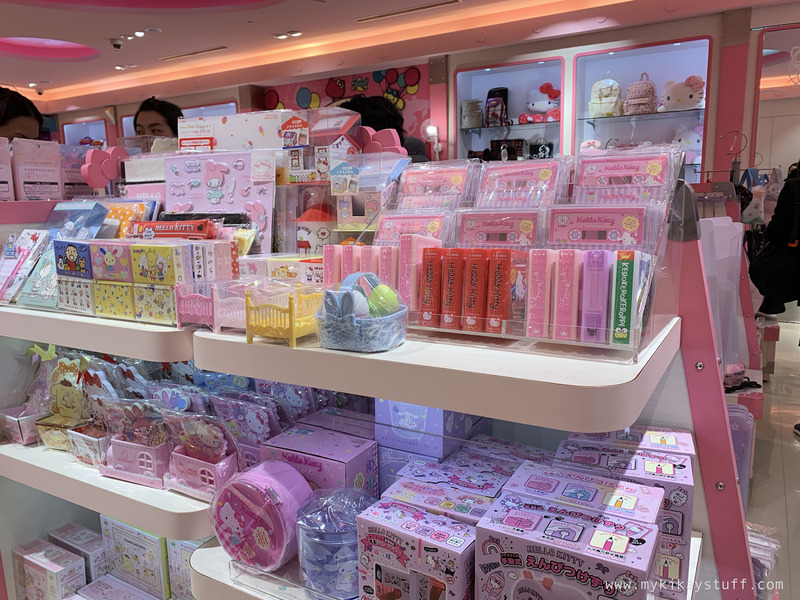 An array of Sanrio products in all forms and sizes are being sold like bags, stationery, travel accessories and more. 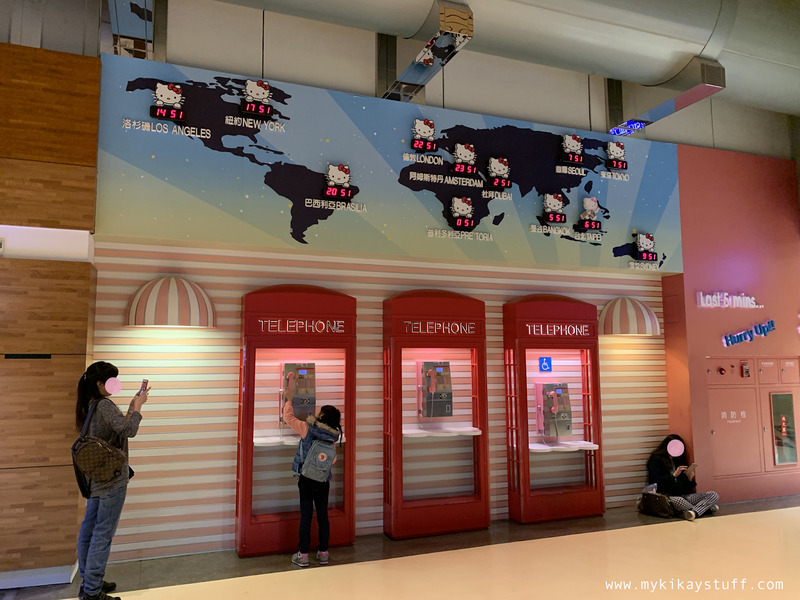 Last time I was in Taoyuan Airport we only had a couple of hours layover. I was also in a big group so I wasn't able to explore the shops or try the food. 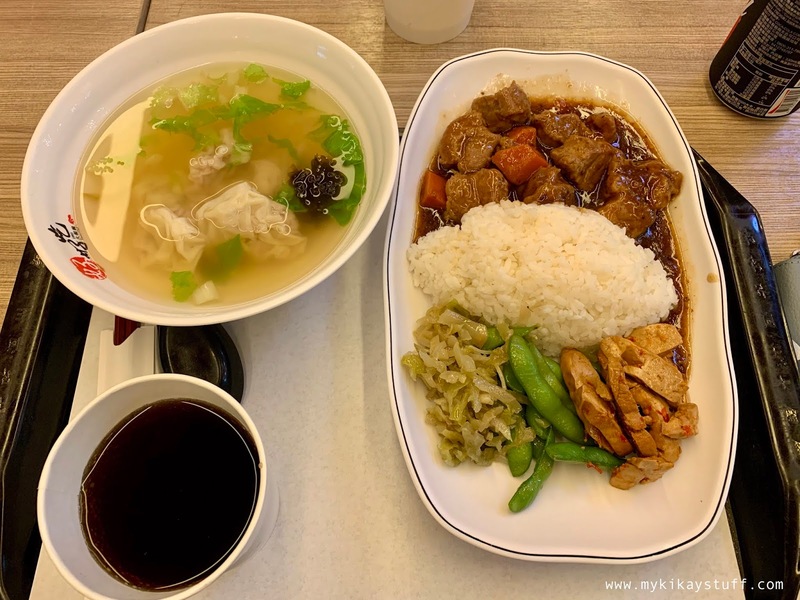 This time, I had 4 hours to spare so I got to window shop a bit and finally had an authentic Taiwanese meal. 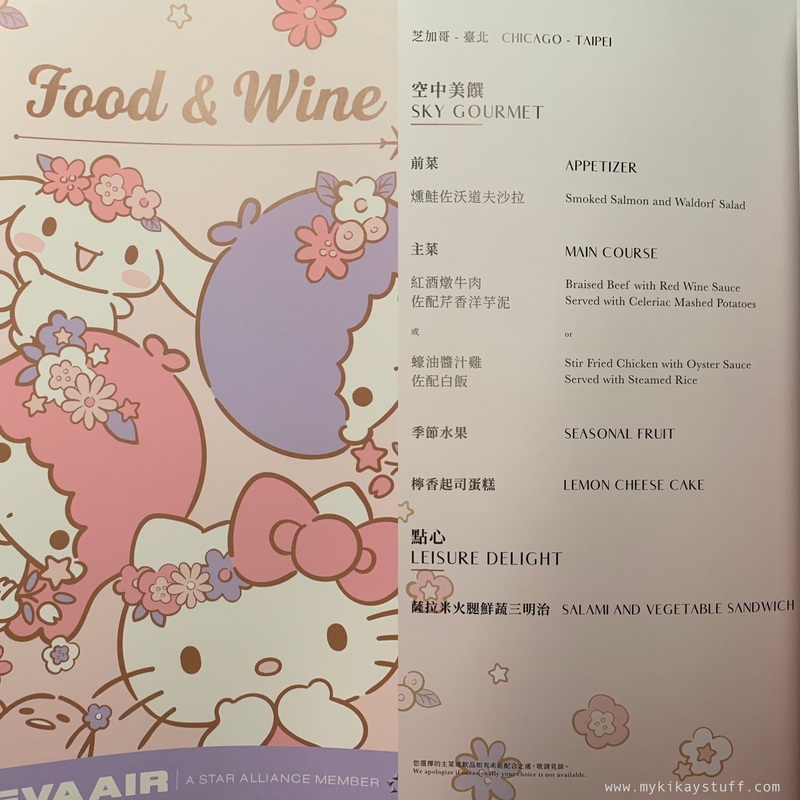 Our flight from Taoyuan Airport to Manila was in a different plane so I guess the Hello Kitty plane stayed behind. 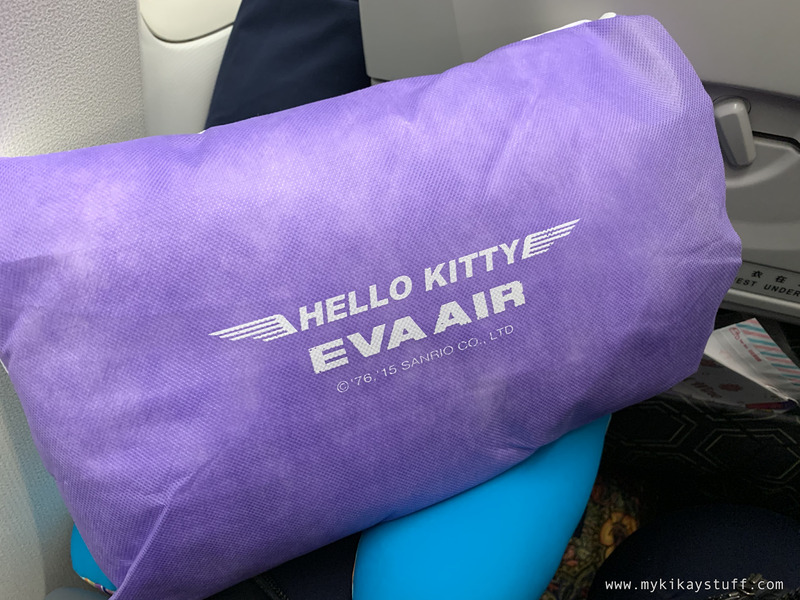 Here goes my final thoughts on the EVA Air Hello Kitty Flight, being a fan of Hello Kitty I obviously adore the concept. 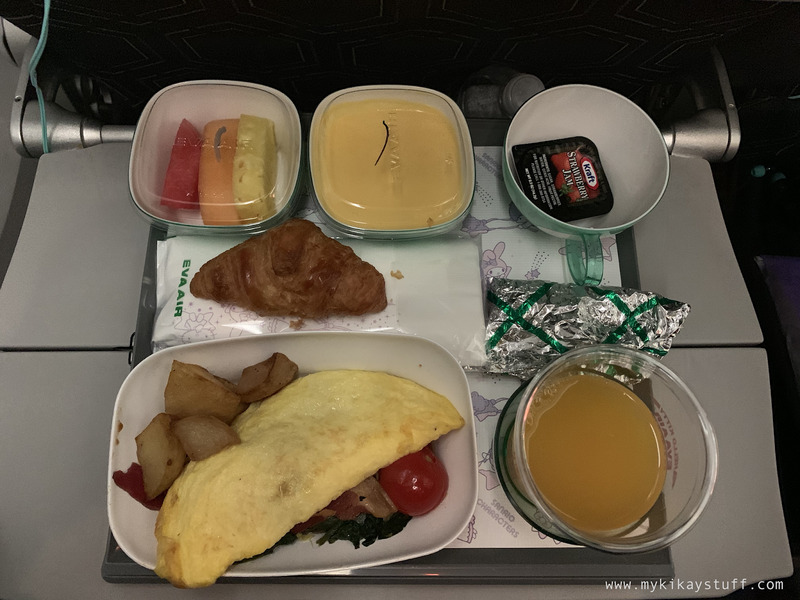 More importantly, I love the comfortable seat, sumptuous meals and the warm service of the staff. 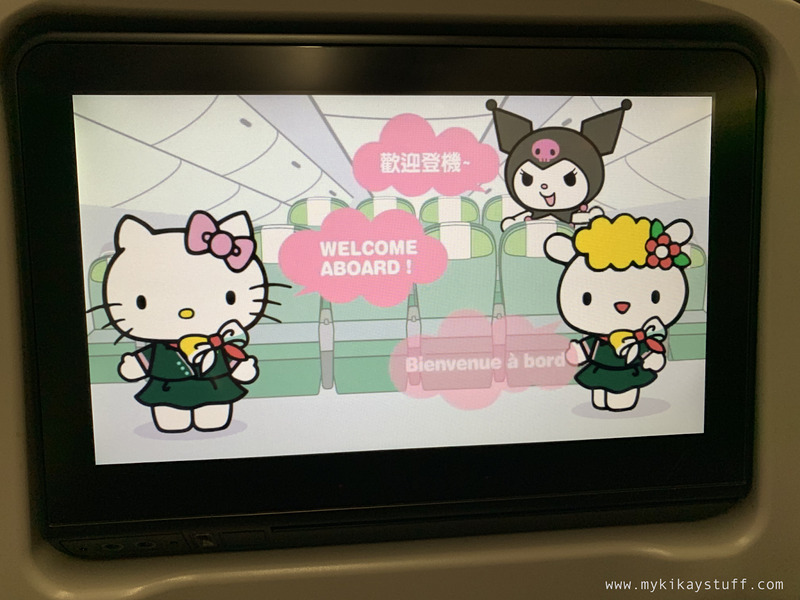 In my book, the EVA Air Hello Kitty flight is without a doubt worth experiencing. 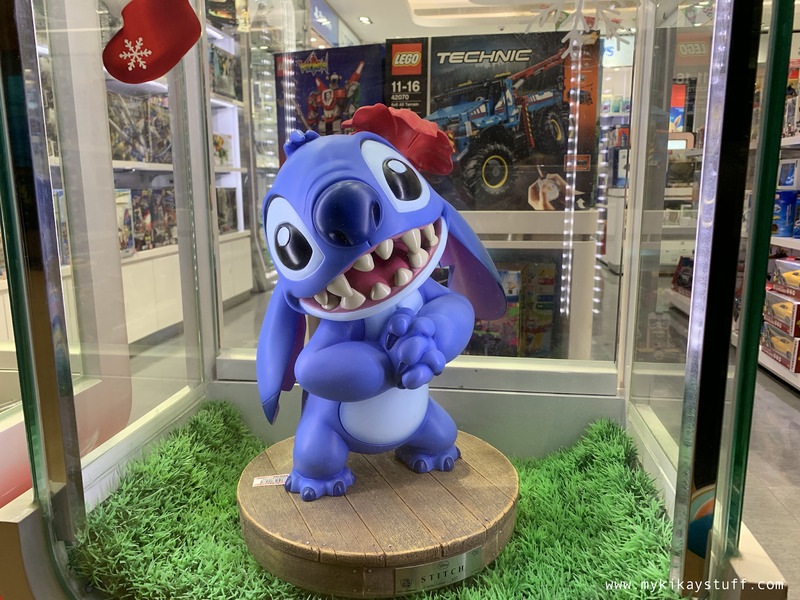 Thank you for taking time to read this post and I do hope you enjoyed it. If you have any questions just leave them on the comments box below. Please subscribe if you haven't by clicking the Bloglovin' section on the sidebar to your right. For future updates on related posts you may follow me on all my social media accounts by ticking the tabs on the left upper corner of this page.